Because luwa were recited in wakes as part of a punishment to whoever is the loser in a game like konggit, truth or consequence, bordon, it is very much appreciated if the lines have rhymes, rhythms, and humor. This is one reason why there are nonsense luwa. The rhythms are not consistent though, but there are a lot of luwa that have rhymes. These include luwa with aaaa, aabb, abab patterns. There are also some luwa that have abcd endings. Mas mabaskog pa sa lingganay. Here you will notice that the endings of all lines are in ay. Here the first and second lines end in id, while the third and fourth lines end in a. There are luwa with Spanish and English words. Secut erat is a Latin word that means Glory be, a Catholic prayer. Some of the topics being touched in luwa are love, death, courtship, sorrows, happiness, desires. disasters, anything and everything under and above the sun. What is the difference between the old and the new luwa? In terms of subject matter, number of lines, number of syllables per line, the same. Perhaps, until proven otherwise, the contemporary luwa have wider scopes like tsunami, and politics, and snows since some of the poets are college trained and have gone to different countries like Canada, America, Switzerland and Germany. From the luwa that I heard and gathered, I noticed that politics is not given so much importance. This is one aspect of luwa that should be looked into. I know that luwa like any other poetry can be used to dissect our society, including our politics. Luwa is dying in Aklan. In fact many of our martial law babies have not heard of luwa. But luwa is not only confined in Aklan. This was also common in Iloilo, Capiz, Antique, and Guimaras. Because of this, I wrote luwa. 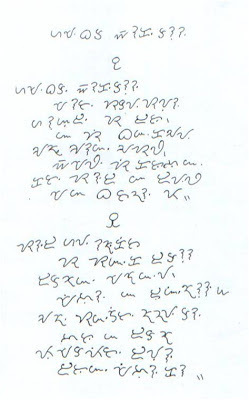 These can now be read in my website: http://aklanonlitarchive.blogspot.com/2006/10/mga-luwa-ni-tay-itsong.html. If possible, inject humor in your luwa. Try to use rhyme and meter if possible. Maximize the use of the various figures of speech. But avoid using mixed metaphor. Be careful with your spelling. Prefixes should be attached to the root words, like pagbakae, ginsueat, etc. Remember the rule on the use ko and ku. 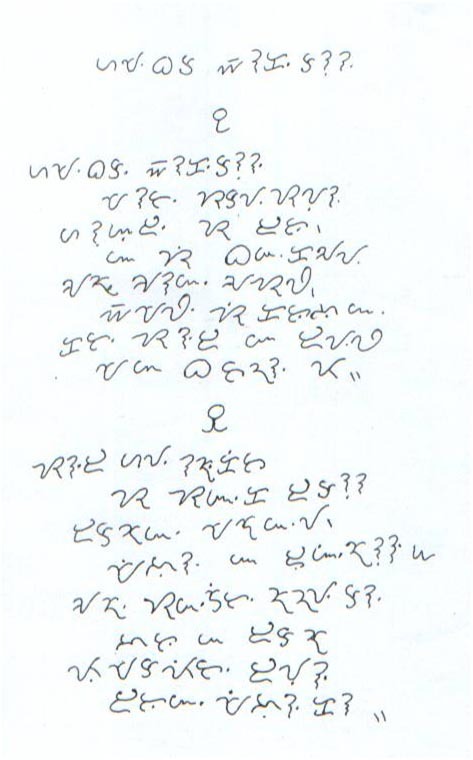 Read and write luwa. There is no other way to learn how to write luwa but to write it yourself. Melchor F. Cichon is a poet and Library Head of St. Therese-MTC Colleges La Fiesta Site in Molo, Iloilo City. He was Head of the Readers Services Section of the College of Fisheries and Ocean Sciences at the University of the Philippines in the Visayas, Miag-ao, Iloilo until his retirement at 2010. He maintains several blogs where he shares his works.